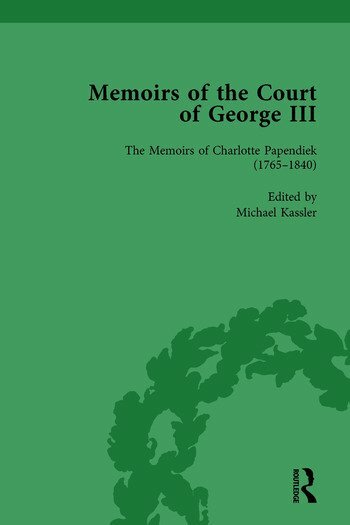 Mrs Papendiek’s Memoirs record events at court from 1761 – when the future Queen Charlotte came to England to marry King George – until 1792. The Papendieks knew many musicians, including John Christian Bach (son of Johann Sebastian), William Herschel (who became an astronomer) and Haydn. The memoirs also record meetings with artists of the day, such as Thomas Lawrence and Thomas Gainsborough. They are a unique resource, recording significant information about living conditions, dress, education and Anglo-German relations.